Meet me at Curly Nikki’s event in NYC on 8/23! I met tons of you a Curly Nikki’s third anniversary celebration at the Carlton Hotel in NYC! Nikki is at it again…this time in a HUGE way! 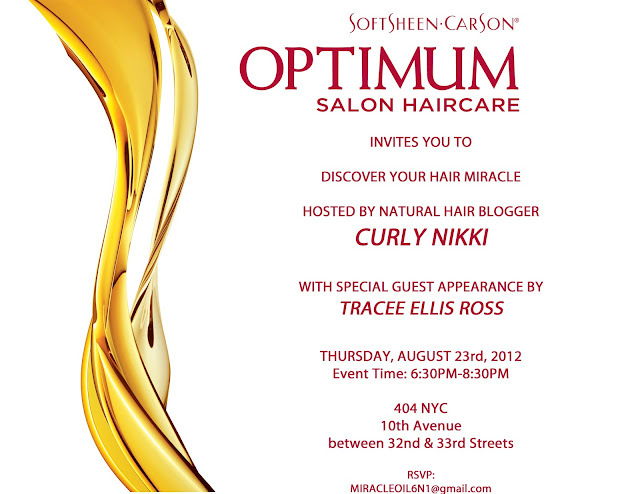 Curly Nikki along with special guest Tracee Ellis Ross will host the Optimum Salon Haircare Miracle Oil Product Launch. The event begins at 6:30PM SHARP on Thursday, August 23rd. Be sure to run to your e-mail and RSVP ASAP. Space is extremely limited as Curly Nikki emphaitcally stated on her site! I am too excited!! Nikki alsways delivers! If you’re in the NYC area, I hope to see you there! 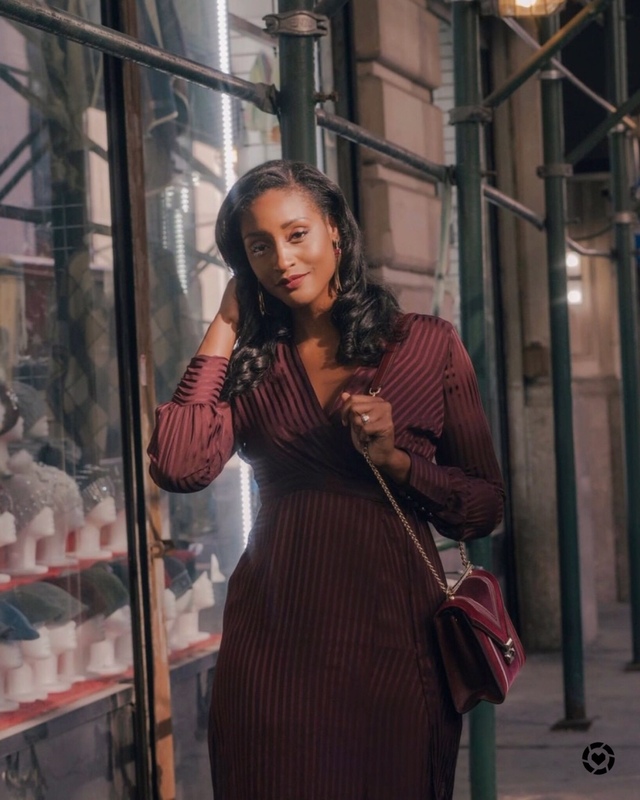 Also, Nikki recently interviewed Tracee on her natural hair journey. Can't wait to see you there chica!!!!! I'll be in the house also with two of my girlfriends! This is my first time attending a Curly Nikki event…can't wait for tonight!